What percentage of students is it okay to let feel unsafe at school? You, like me, probably answered zero percent. As an educator dedicated to a whole child approach to education, you recognize the value of each and every learner. What if I told you we have allowed (albeit unintentionally in most cases), if not contributed to, an entire population of students feeling unsafe at school? A population of students you are most likely rooting for as they enter adulthood and pursue equal rights. 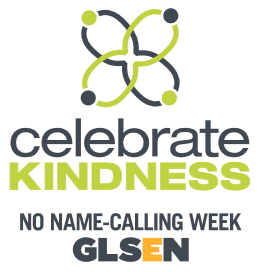 This week—January 20–24th—is designated as No Name-Calling Week (NNCW), an initiative of whole child partner Gay, Lesbian and Straight Education Network (GLSEN) that provides students, teachers, staff, and parents with a week of resources and opportunities to show kindness and reflect on the importance of positive school climates. For the past ten years this initiative and other antibullying efforts in schools has grown enormously—the NNCW initiative now has more than 60 national partners and thousands of participants from schools all over the country. According to current statistics, more than 30 percent of our school-age young people—approximately 5.7 million children—are bullied in schools, on playgrounds, and in recreational facilities each year. Research shows that these numbers can be reduced by nearly half through the use of effective bullying prevention programs. During the month of October, in observance of National Bullying Prevention Month, schools and organizations across the country will join STOMP Out Bullying to encourage communities to work together to stop bullying and cyberbullying and to increase awareness of the prevalence and impact of bullying on children. As part of the observation, the week of October 21, 2013, is dedicated as STAND UP for Others Week. It's a week-long commitment to stand up for victims of bullying that ends on Friday, October 25, the internationally observed STAND UP to Bullying Day. It has been another active fire season here out West and once again firefighters have been attacking the fires systematically and efficiently. As a teacher it is interesting to look at the way these fires are attacked. The contrast to the way problems are attacked in education is staggering. In wildland firefighting when the problem (the fire) becomes big enough, a two-pronged attack is launched. Firefighters coordinate their efforts to fight the fire from both the ground and air. In contrast, when the problem in education (student achievement, mainly) gets big, the most common response is to narrow the range of approaches. By and large this usually means demanding more time strictly devoted to teaching the critical academic subjects (math and reading) at the expense of everything else. Post written by Vinciane Rycroft for Ashoka's Start Empathy Initiative, a whole child partner organization. Originally published in the Times Educational Supplement Pro. Ian, aged 8, throws his younger brother Robin on the ground. Tears and screaming. It's the fifth or sixth time already today. (I'm strong; I'm superman!) Both of them have just lost their mother after two years of a very painful illness. As educators, we witness this very human story again and again, every day. It shows clearly the process of bullying. How do we respond? Daniel Favre is a teacher, teacher trainer, and professor in both neuroscience and education. His work studies the process of youth violence. It also shows how supporting teachers in cultivating empathy can break the cycle of youth violence and improve maths results. His 50-hour programme trains educators to minimise students' fear of learning and dogmatic perceptions. Regardless of their subject, teachers learn six different skills: to clearly distinguish error and fault when giving feedback to students, encourage emotional literacy, facilitate team work, emphasize our common humanity, establish a nonviolent mode of authority, and strong personal listening skills and empathy. Post written by Emily Cherkin for Ashoka's Start Empathy Initiative, a whole child partner organization. When I tell people I work with 7th graders, I often hear, "Oh, wow. ... I'm so sorry!" They tell me how miserable their seventh grade year was. Sometimes I hear, "It takes a certain person to work with that age group..." before their voice trails off, uncertainly. I am usually bemused, at turns slightly offended, but mostly, I understand. Because I remember how hard 7th grade was for me, which is exactly why I so love working with this age group now. As a part-time teacher and a full-time mom, I have been working with 7th graders for the past few years on a curriculum focusing on media literacy and anti-bullying. Sustainability efforts that promote policy, encourage and empower new leaders, and support research. Yet, when I first speak to people about what we do, the inevitable conclusion or connection made is that "you're the guys that do bully prevention." Indeed, NSCC has robust and comprehensive bully-prevention resources that are student centered, aligned with core curriculum standards, and (amazingly!) free. And we work arduously and continuously to make sure our bully-prevention efforts align with a larger framework to promote safe, supportive, welcoming, civically engaging, challenging, and joyous schools for all students. One metaphor I use to capture the idea that bully prevention is part of a broader school climate effort is to compare bullying to the proverbial "canary in a coal mine." I tend to believe that if there are bullying issues present in a school community, it is a symptom of other deeper issues. Does Better Recess Equal a Better School Day? In a new study released Tuesday, Mathematica Policy Research and the John W. Gardner Center for Youth and Their Communities at Stanford University rigorously evaluated the Playworks program and found that it improved outcomes in the areas of school climate, conflict resolution and aggression, physical activity, and learning and academic performance. I dealt with school violence before it was fashionable and funded. To me, any child killed anywhere, anytime, is a huge tragedy. But decades ago, when children were killed in the inner city of Cleveland, you probably never heard about them. When the killings moved to suburbs such as Columbine, they became national news. The Newtown shootings shocked the United States like no other school violence. Now, school violence prevention is front-page news. Working with school safety for more than 30 years, I have tried to help schools and communities keep our youth safe and healthy so that they can learn more and live better. Here are several lessons that I have learned. Often when people talk about the basics of education, they refer to the three Rs: reading, (w)riting, and (a)rithmetic. However, an even more foundational aspect to educating students is ensuring that schools are safe. If a school isn't a safe place, then it can't be a school as we know it—a place to learn and grow. If a school isn't a safe place, it becomes reactive to incidents, and teaching and learning become a secondary or forgotten imperative.